The Second Academic Forum of UNESCO Chairs working in the field of intercultural and interreligious dialogue has started in Baku on the occasion of the 4th World Forum on Intercultural Dialogue. 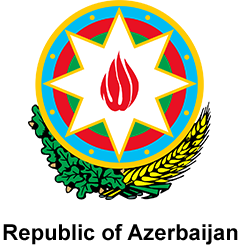 It is organized by UNESCO in partnership with the Azerbaijani government. Opening the event, Azerbaijan`s deputy minister of culture and tourism Sevda Mammadaliyeva said the country attaches great importance to the forum, whose first edition was convened in Baku in 2015. She highlighted Azerbaijan`s contribution to promoting intercultural dialogue around the globe. UNESCO’s Assistant Director-General for Social and Human Sciences Nada Al-Nashif commended the Azerbaijani government`s support for the activities of UNESCO. The academic forum brings together 14 UNESCO Chairs from around the globe to explore how the Chairs network can further strengthen the research-policy nexus. Building on the launch of the UNESCO Chairs publication Interculturalism at the crossroads, the meeting will serve as an occasion to explore new opportunities to enhance the impact and visibility of the Chairs’ work, ensuring that the network remains a strong community of practice on the management of cultural and religious diversity in our plural societies.